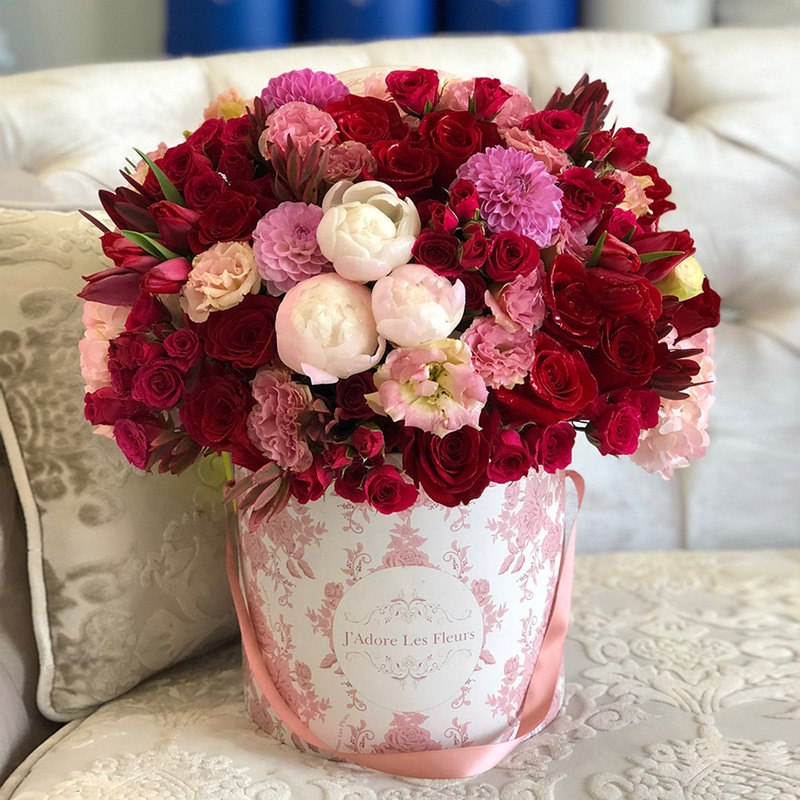 Classic red roses are paired with fuchsia spray roses along red tulips, pink lisianthus, dahlias and powder pink hydrangeas. * Dahlias may be substituted with a different color or different flower based on availability. * The arrangement in the photo is in a JLF medium size box.